The add/edit report page was due for an update. We like making reports and we think there are others who like making reports too. So what could be better than making it easier to make reports? Single click to add a field. Just a single click on a field in the “Available” column will move the field over to the Selected column. No need to drag it over. Quick add. 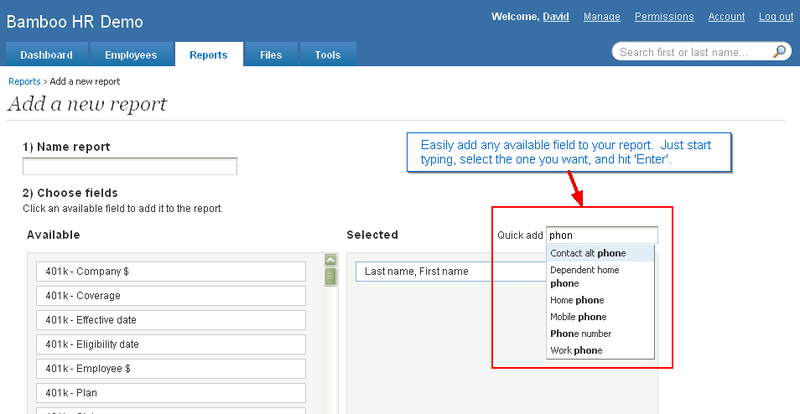 If want to be super speedy, take a look at the quick add box above the list of selected fields. 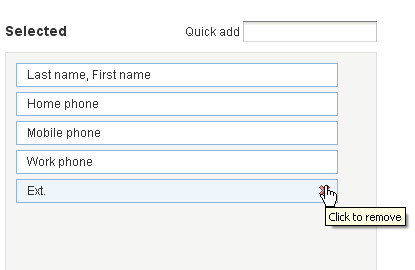 This box works just like employee search: just start typing and names of fields start showing up. Use the arrow keys to highlight the field you want to add and hit “Enter”. This is my favorite part of the update on this page. X marks the spot (to delete a field). In the “Selected” column, just hover over a field name and a red X appears. Click the X and the field will be removed from the Selected column and placed carefully back in the “Available” column…in the right order, no less! Filter results. This feature has actually always been there, but it a little too hidden…okay, a lot too hidden. The default is to show all data (no filter). But, if you change the dropdown to “only data” you can add filters to make the report even more customized. 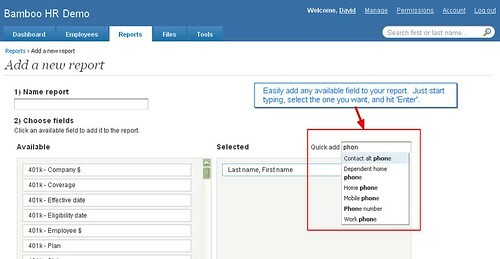 Want a report to show only your Accountants in the Houston office? No problem. Want to know more about BambooHR, the #1 HR software optimized for small and medium businesses?